This is an addendum to my previous review: The manager, Tordes, spoke with the owner and reached out to me on 3-27; we have agreed upon a mutual resolution and Indus has agreed refunded me in full. Been a nightmare, and we haven't even left yet. And may not get to if Indus has it''s way. It's a long story, but I will try to keep it short. We booked our tour to Australia back in Nov/Dec 2018, paid the deposit, and then paid the remainder in Jan 2019. Indus sent me a receipt/invoice showing I owed ZERO now for the tour and that it was paid in full. Our tour is set to depart 4-16-19, and since Jan I have been thinking all is well and calling/emailing every so often to ask when our flights/travel docs will be issued. They kept telling me 45 days before the departure. Well guess what? Yesterday Tayna (my tour coordinator) contacts me and tells me that due to a "glitch" in THEIR computer they will not release my tour and travel documents unless I pay almost another $1700!!! And is it now about 3 WEEKS from departure, so I have very little recourse to do much. Seriously?!? I spent hours on email and calls trying to explain that they cannot just arbitrarily try to charge me more, especially since it was THEIR error. They just kept insisting that I had to pay the money or they would not issue my travel documents. I then found a policy, ON THEIR OWN WEBSITE, that says they will not change the price after a final payment is made (which I did back in Jan 2019). I have forwarded all my documents, and the policy from the website, and have asked for either a full refund or issuance of my trip/travel docs. Tanya assured me yesterday that a manager was looking into this, and that I would have an answer by this morning. The next day, I got a call back from Tanya: they are refusing to give a full refund or release the trip unless I pay because they claim they didn't change anything (despite the fact that they are not demanding double what I've already paid) and that the new demand for additional payment does not constitute a price change; despite the documents I have from them with a zero balance since Jan 2019. This looks an awful lot like fraud, extortion, and illegal seizure of funds. I just want my money back at this point because I've been dealing with this since 3-20-19; and I honestly no longer feel that this company would be a safe one to travel with/through. If they acting like this, and doing these very questionable things, before I even leave; what in the world would they try to pull when I am no longer Stateside?!? I would not recommend this Wonders of Spain and Morocco tour. I took this trip in October of 2018. Our tour guide in Spain spoke very poor English, and it was very difficult to understand her. She also did not know much about Spain (she was from Cuba), so we got very little information from her. This was very disappointing. The local day guides were better informed and easier to understand. Expect very long hours on the bus, with short stops along the way. Scenery will be spectacular. Lunches will frequently be at truck stops where you will line up with busloads of other tourists for bathrooms and pre-packaged sandwiches. Day tours will be very crowded, and you will often be herded like cattle through the streets. The ferry ride to Tangiers was fun, but getting on and off the ferry would be difficult for someone who can't get around easily. We saw two people fall and get injured. Our tour guide in Morocco was excellent, and very well informed. We had local guides for the excursions in places we stopped. Expect to be guided through the Suk in Fes to four designated places to shop, and you will not be allowed to shop anywhere else in the Suk. The same is true for the tour of the Suk in Marrakech and the old city in Toledo. Shopping was allowed only at high end places. If you aren't interested in shopping, this will be a big waste of your time. Your main meals will mostly be at mediocre buffets in the hotels you stay in. Drink only bottled water, lots of people in our group got sick, mostly in Morocco. You will be given the opportunity to pay extra (around $110 Euros) for a dinner and show in Fes and Marrakech, both of which were enjoyable, but if you choose only one, do the one in Fes. You will see a lot of both Spain and Morocco. The buildings are breathtaking. You will have both panoramic (bus) tours and walking tours. Walking tours are long, varying 1 - 2 hours. My favorite places were Ronda, Seville, Granada and Toledo. Take advantage of free time in Granada to see the Cathedral. If you do this tour, invest in a guide book to read along with way. Our trip went quite well and we have raving reviews for the services and people we met from your office. Our tour guide, provided excellent services, was always on time and was patient with us when we were not on time. (This did not happen too often). His warmth and friendliness was extremely special and provided the closeness of family, which was extremely appreciated being so far away from home. The drivers were also extremely skilled, warm and friendly and gave their best. We would like your office to give special recognition to all these individuals. Luv (our tour guide), Bharat (our first driver) and Dinesh (2nd driver) who stayed with us for the most part until we departed to Mumbai. His efforts to get us to the right places on time and the waiting for us was nothing short of first class service. Special thanks also to Malay who picked us up from the Delhi Airport and met again with us for dinner at the beginning of the tour. The hotels and tent accommodation were excellent choices as well as the extras, camel safari, elephant ride etc. We found the tour flexible, well planned, met with our expectations and more!. The others in our group, Cathy and San, from San Francisco , were extremely compatible with us and this added to make our trip even more phenomenal. As I mentioned to your counterparts in your Delhi office and Luv, we are going to recommend your agency to all our interested friends and family. This trip had special meaning to us and it was something we needed to do for ourselves. We would like to extend our warmest thanks and appreciation for making it possible, real and extremely wonderful. Our thanks also to the other guides and drivers in Mumbai for the last two days of the tour, their punctuality and other services are extremely appreciated. Best of luck to you and your offices in your business and sometime in the future when we need to go to India again, you will be the first people we will call. Thanks and best regards. I would like to thank Indus team who right from the start have been super responsive to our request and help us arranged a wonderful itinerary to see and experience Vietnam people, culture and places first hand as a family. There were things for everyone of us which we can enjoy in the trip. The guides arranged, both Vietnam and Cambodia, were all great and have taken care of our every need during our trip. Great job and teamwork! We will definitely recommend you our family and friends for the trip to Vietnam & Cambodia! Canadian based Indus Travel offers budget friendly tours around the world for everyone from adventurous travelers to families. What Makes Indus Travel Stand Out? Their most popular tour offering is what they term “Unbundled Tours” where you book a group trip - meaning better price, but have the power to then customize your experience along the way. Not everyone may want to see xyz, so their itinerary structure allows everyone to tailor their travel experience. And it helps you choose those experiences, accommodations, meals etc that are within your price range. This does mean you’re dependent on the Indus guides on the ground handling a lot of complicated individual schedules effectively. Indus reviews indicate that this isn’t always a smooth ride, and often confusions arise both on the part of the traveler and the Indus organizers. Indus travel planners are available to help you design an ultra customized journey, using local experts. If you’re looking for something classic and cultural on a budget, they are a great choice. They strive to create balanced itineraries that include classic sightseeing as well as unique and authentic stops. Who Will Enjoy Traveling With Indus? Budget travelers looking for an exciting group trip, but with the flexibility to “choose your own adventure”. Group sizes are kept small and they are popular with couples and small family groups. This style of group travel doesn’t always go smoothly however, so you’ll enjoy the experience more if you have an opened minded attitude and are ok with occasional changes on the ground. Indus crafts travel experiences with cost efficiency in mind, so if you’re expecting something more premium, Indus might not be for you. They organize trips around the world; top custom tour destinations include India, Nepal, Sri Lanka, Maldives, Turkey, Egypt, Jordan, Dubai, Peru. Excursions in destination depend largely on what you and your travel companions decide you want to see and do. The Indus travel style is about combining the best of independent travel with packaged travel. They will help arrange flights and accommodations, and your input creates a curated experience for your meals and activities. Hotels are usually in the 3 star range. They use a combination of public transportation such as ferries, trains, and buses, as well as their own coaches. These are comfortable, but usually with few upscale amenities. The max number of people on their tours is 22 according to the website, however be forewarned that several reviews state they had over 30 people on their tour. If group size is a very important factor for you when selecting a tour, you might want to consider looking around before deciding on Indus. 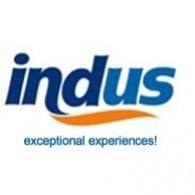 Why Choose a Tour With Indus? If you are a budget traveler interested in a cost cutting travel solution, Indus is a great choice. Because they are specifically designed to be budget friendly, this does mean you might have to put up with some quirks along the way, so an easy-going attitude is good to have if choosing Indus. While their sales and customer service teams have some negative reviews, their guides on the ground are generally found to be knowledgeable and helpful. Navigating world destinations is often complex and requires careful and detailed planning. What sets Indus Travels apart are our professional Travel Planners who design each tour in collaboration with our extensive network of supplier partners in local destinations. Our own offices and teams in local destinations coordinate all our tours. Indus Travels is all about delivering value - our travel services are booked in the most cost effective way, ensuring you get the best value for your money. We negotiate the best price, and we pass this savings on to you. We strive to offer exceptionally good value, while never cutting corners or sacrificing quality. $100 off "Wonders of Spain & Morocco" for Stride users!